Table B1 shows selected countries scores for which it has been possible to calculate the Global Gender Gap Index back to the year 2000. Table B2 presents the 142 countries included in the Report this year with their respective score and rank for the past nine years. The table is sorted alphabetically. Figure B1 presents the evolution between 2000 and 2014 of seven selected countries. Switzerland is the country with the highest improvement compared to 2000, whereas Slovak Republic is the only country in the Figure B1 with a score that is decreasing between 2000 and 2014. 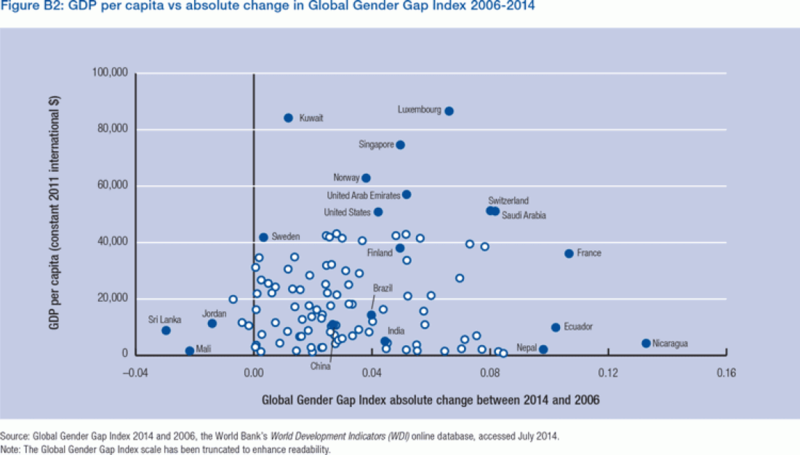 Figure B2 plots countries’ GDP per capita (in constant 2011 international dollars) relative to their Global Gender Gap Index absolute change between 2006 and 2014.